Buy Penthouse in Miami Beach to Live a High-End Life! A penthouse is the topmost floor of an apartment building and is typically blessed with luxury features which don’t come with other apartments. As a result, when it comes to living with luxury, penthouses come at the top of the list. There are so many virtues and benefits of penthouses that make your stature not only affluent but also provide you with the freedom of so many things. If you are also looking to live a distinct and opulent life, no other option can be better than ‘penthouses for sale’ in Miami Beach. Here, we will talk about what you can enjoy by investing in a penthouse property. So, let’s start. The best thing about living on the uppermost floor is that you get to enjoy your privacy as a penthouse is more quiet and exclusive. The hustle and bustle of lower floors, nearby roads, parks and other noisy places are all left behind. There is no one who can peep through your windows. The elevated height of a penthouse provides you with much-needed solace and optimum solitude. Usually, a penthouse is typically the largest condominium which means you have plenty of space to indulge yourself and your family members. The outdoor space is also much larger than the two balconies of lower floors put together. 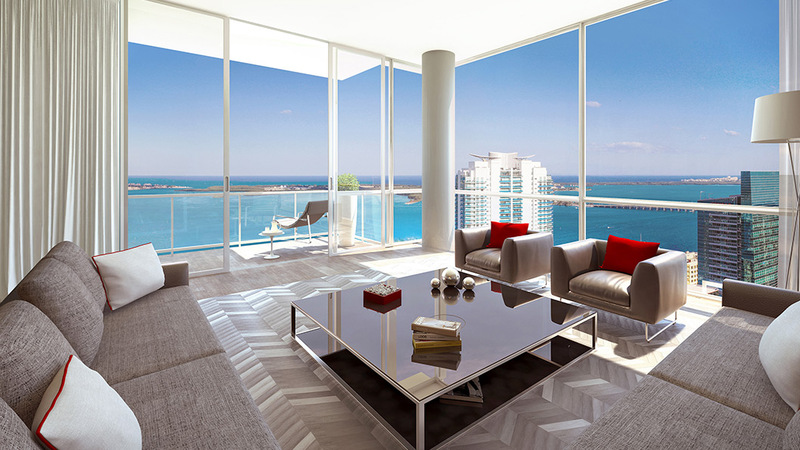 If you are considering buying penthouses in Miami Beach, you will also be blessed with a great waterfront view. Living in a penthouse is always connected with a luxurious lifestyle. It is because they boast panoramic view, maximum natural light, excellent ventilation, high-end amenities, modern furnishings, advanced appliances, optimum quality material fittings, and pristine flooring system and don’t bother you with the wall sharing problem. Some of the penthouses have more than one floor and some of them are also equipped with beautiful swimming pool, a private lift, vaulted ceilings, fireplace, oversized windows, terrace gardens, Jacuzzis and the list goes on. When you choose to buy a penthouse in Miami Beach, you enjoy the best of both worlds – the serenity of a villa in a secluded place and the easy access to beach and other facilities which are usually available in the center of the city. You can mingle with the people in the community place and can come back to the joy of privacy within a minute. Unlike an apartment, a penthouse is a greater and more exclusive sanctuary. The added space provides you with the opportunity of customization. For instance, many penthouse owners build their own private showers in the outdoor space with an open view. You can assume that a penthouse in Miami stands tall on your every expectation. So, don’t wait until it is too late. Browse through penthouses for sale in Miami Beach, make a selection and buy it at competitive pricing with the help of a professional agent as nothing can be more blissful than living in a penthouse with a breathtaking beach view.